So you're just starting out? (That's great!) Maybe you are a seasoned market veteran. (Awesome, Thanks for being a part of this market). However, EVERY market will be different, and every market has its own set of rules. Here are some common questions we have gotten regarding our process. We hope this helps!! is the vendor fee refundable? No, once payment has been made, the vendor fee is non-refundable, and non-transferable. I am an outside vendor, what do i need to bring with me? Outside vendors must bring their tent, MANDATORY 20lb tent weights for each leg of their tent, your displays, chairs, tables, change, card reader. No, electricity is not provided during our events. Some breweries have public WiFi, but keep in mind that location of our market and number of attendees/vendors, the WiFi might get bogged down. Ensure you have means to process your transactions. No, Tables are not provided for vendors. I applied to several markets, when will i be contacted if I got accepted? We will contact vendors 30-50 days prior to the market date. Some events we contact earlier (holiday markets) but for the most part we have a 30 day window that event space can change, so we try to confirm the space prior to opening the vendor payment link. No, we have a specific number of genres that are allowed in for each event. Space sharing is not acceptable. I applied to one of the brewery markets and have not heard back from anyone. Should I contact the brewery? No. Starving Artist Market is the only entity that can give you information regarding your status, load in times, and other market related information. 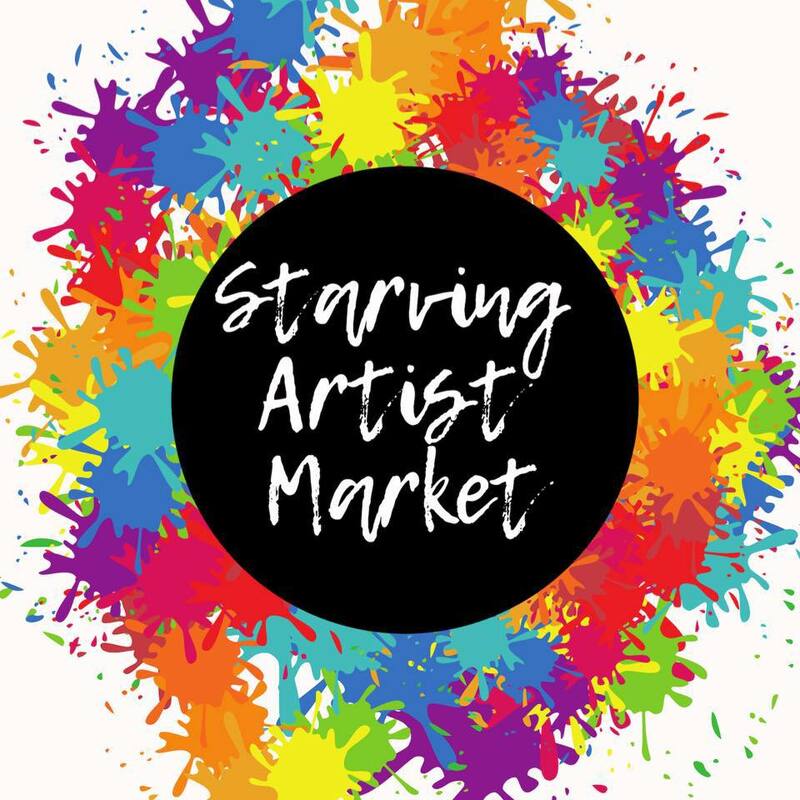 Email is the only form of communication that we use, so please make sure that info@starvingartistmarketclt.com and starvingartistmarketclt@gmail.com are in your safe senders list. HOw do you accept vendor payment? We typically use invoices, square, paypal, gpay and on occasion venmo (in the case that someones paypal is down). Please email us if there is an issue with your payment and we can try another alternative. Unfortunately vendor layouts are not published as many times the day of the market we need to move people around. For some of our events, it is first come first placed, so make sure you arrive prior to the market load in cut off time or you will forfeit your vending space, with no refund. How Early can we arrive to set up? You will get a vendor load in info email the week of the event with the pertinent information for that location. Each location and market is different so there are different load in times for each one. Do I need a vendor permit to sell at the SAM? No, vendors are not required to have a vending permit here in NC. However, you are responsible for collecting and reporting your income and taxes. I also sell an Mlm type product (lularoe, mary kay, lipsense, scentsy) am i able to put those out on the table as well? Absolutely not. The Starving Artist Market is an exclusive handmade ONLY type of venue. We pride ourselves on linking the community to your directly handmade product. I have a discount or promotion that I will have during the event can i share that to the Facebook event? ABSOLUTELY! Any promotions that you have running specific for that market you are more than welcome to post in the event to gain exposure! I am a first time vendor, what do I need to do to prepare?! This is a loaded question. The best thing you can do to prepare is to set up your display at your home. -Make sure you have enough stock, and that your display looks full and eye catching. Setting up your tables inside to see what fits better with your display is key! -Do your research!!! Pinterest is LOADED with great ideas for setup, and display options. -Lastly - utilize the vendors group!! Share pictures of your display asking for feedback, we have a lot of veteran market vendors in our group that are happy to help support your experience. What is the booth space like? Each location has its own set up, some are inside only, some are outside only, and then there are a few that are a mix of both. INSIDE VENDORS: That space is roughly 6'x3' that is enough for a 6ft table. OUTSIDE VENDORS: That space is a 10'x10' space. You are responsible for supplying your own tables, chairs and any other equipment or signage you may need. All activities related to your booth must remain within this 10’x10’ space. Market Staff has the authority to move items if outside of the designated 10’x10’ or 6'x3' space. The events are Rain or Shine. In the case of extreme weather, the market will be canceled and vendors will be notified by email. No refunds will be given. Do we need tent weights? ALL TENTS MUST BE WEIGHTED DOWN!! Tents must be weighted down with 20 lbs. of weight on each leg. This is the responsibility of the vendor. Any tent that is not properly weighted down will be asked to resolve the issue before being able to continue the market; otherwise, you will be forced to take down your tent for the duration of the market. This is a SAFETY issue. You may not tie your tent to another vendor for this is not safe. NO STAKES allowed. What other venues do you popup at? We are always looking for new and exciting venues to bring our market. Currently we can be found at Charlotte Art League, Lenny Boy Brewing Company, 26 Acres Brewing Company, Catawba Brewing Company, High Branch Brewing Company and on the streets of NoDa, next to Canvas Tattoo. All of our events can be found on Facebook @Starvingartistmarketclt More locations coming soon! If I cannot make the market can i give my space to someone else? No, we have a wait-list and have a specific number of each genre that is allowed into the market. I'm trying to sign up for a market that is closed, can i get on the waitlist? Can I request booth location? At this moment we do not accept vendor placement requests. If you do have any specific needs please email us and we will do out best to accommodate. Is there anyone on site to help me set up my booth? Our Committee that helps check you in and direct you to your vending space will be on site, however we do not have dedicated "helpers". Most of our vendors are ready to help one another without even being asked. The committee and surrounding vendors can help you get your tent in place, but it will be up to you to make sure your booth is manned at all times. We suggest bringing a friend if at all possible so that load in/load out and bathroom brakes are all covered. It can be a long day, why not share it with a friend too! Each location is quite different, and if there are any specific parking regulations we need to follow, those will be sent out in your event email a week prior to the event. I sell (insert what you make here), what would be the best market location for me? That is hard to tell. While each location does bring in a varied shopper dynamic, we cannot give you a 100% definitive answer on that. It is up to the vendor to do your research on the market and location to see if it will be a good fit for you. I cannot remember what I signed up for, Can you tell me? We have a separate sign up for each event we host. At this time we do not offer a 1 time sign up with all available dates. There are far too many differences in locations that make it hard to do so. When you do sign up, you will receive an email confirmation of your answers, if you do not receive one, that means your email was entered in wrong, or that you might not have finished the sign up process. However in that email it will show what date market you are signing up for and what answers you provided. That way if you forget what you signed up for, you can always go back to that email.